The Costa Mesa Fairview Park Citizens Advisory Committee will meet again tomorrow, Wednesday, July 17th from 6:00 to 7:30 p.m. in Conference Room 1A at City Hall. The agenda, HERE, states that it will be in council chambers, but that has been changed. The conference room is a more appropriate venue because, while more intimate than council chambers, it's more conducive to a free flow of information between the members. When you visit that agenda you'll notice an item called "Committee Work Plan". You can read that document HERE. 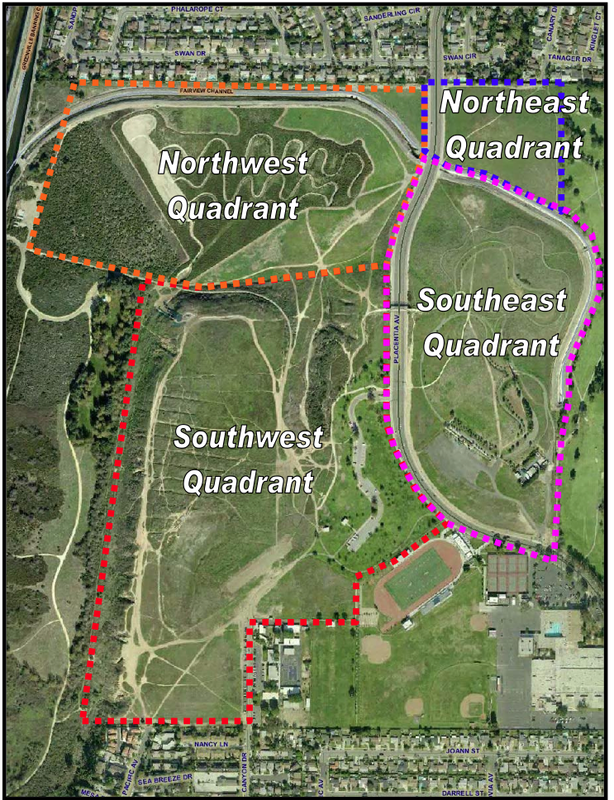 It's a fascinating, aggressive plan for the activities of this committee and should be required reading for anyone interested and/or concerned about the future of Fairview Park - described by many as the "Jewel of Costa Mesa". It will be interesting to see how this meeting - the third for this group if you count the mass walkabout they did of the park a few weeks ago - will go. Mayor Pro Tem Steve Mensinger is the council liaison and tried to hijack the first meeting with his personal agenda. 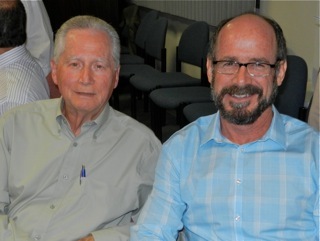 It will be interesting to see if he can restrain himself and allow the Chairman, Dr. Richard Mehrin, (shown below on the left with Vice Chair Steve Smith) conduct the meeting. Mensinger has several surrogates on the committee all chomping at the bit to deliver his message, anyhow. All these meetings are open to the public, so if you have an interest in Fairview Park's future, please plan on attending. Seating is limited in Conference Room 1A. should fisler stay away due to his financial malfeasance? We normal people see the map of Fairview Park as four geographical quadrants, but the junior mayor sees it as football fields north and south as well as parking lots north and south. We all know he'll try and railroad the talks and force feed his views to the people. Any truth to the rumor that Mensy wants to make the entire park into a boxing ring where he can bully teachers, clerks, women, and small animals? land use: if you heard it it MUST be true. better if printed in INK but rumors are always true if it fits your agenda. I say go with it. You will be respected and thought of as rational. look at alfs cred she has garnered. "Mensingers Night Time Football Field"- that's got a nice ring to it. Speaking of "normal people" when were the voters and taxpayers in Costa Mesa ever asked what they would like done with that land??? My family would love to see a Fashion Island style shopping center built there complete with nice restaurants, etc. Costa Mesa is turning into nothing more than soccer fields. It's time to give the adults something to enjoy for a change. Yeah, a Fashion Island would be great. We could charge a business license tax surcharge to Nordstrom! Get on this Wendy, still a chance to accomplish something in 8 years. "Mensingers Night Time Football Field"- that's got a nice ring to it." Yeah- You can use the scale trains to bring in all the people you don't like and bully them..
Is the council and Parks commission charged with whats best for Costa mesa and it's citizens first? Soccer fields, track meets, football and many of these events serve other communities that don't want to make room for them. Using these items as fund raisers may serve some kids well but not the citizens as a whole. There are 111,000 people in CM. Ayso says 3000 kids from CM and Newport use the program maybe 4 months out of the year. Newport,Irvine and Santa Ana have turned down expansions because cost and expansions don't serve their communities well. If the sport fields are used by 50% costa mesa kids. 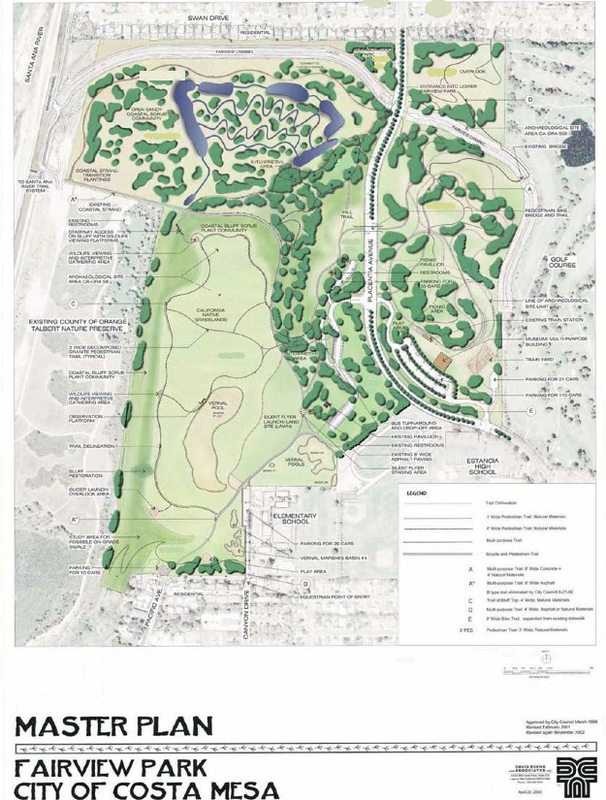 They could redraw their boundries and add regions to include only costa mesa or only Newport and let the cities deal with their own practice fields. Then CM officials would not be turning away Costa mesa kids, who they are charged with serving. 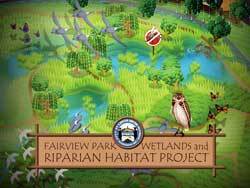 Fairview Park serves many other groups other than the trains. Dog walkers, bird watchers, runners, families, bikers all week long, dusk to dawn, hundreds of people go thru there. People say the trains have it as an exclusive. Not true, It is open 365 days a year. The parking lot is closed due to lack of improvements that make it safe to be open. A dirt lot is unmanagable. 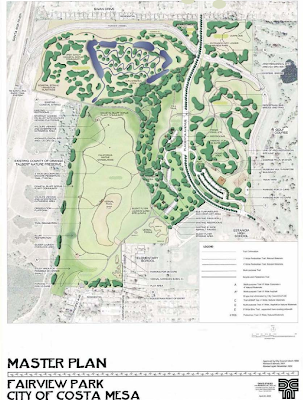 That is why the current Master plan has those improvements on it. Every city needs a reserve. New York, Irvine,Huntington,Newport have nature style reserves for their citizens to enjoy. A balance is critical. Sports fields 100 reserves 1. Wtf? What's up with a call for more strip malls? You think you'll get a 'fashion island?' you're nuts. It's location that makes fashion island. This park is a historical site. It's great as a park. My family enjoys it this way. If "Costa Mesa is turning into nothing more than soccer fields" is not racist (costa mesa tax payer) then I'm not American. (*and I don't like soccer, and I get your innuendo). You are dumb, lazy, fat consumer. I feel bad for people trying to manage this space in the way of Football dreamers and consumers with false hopes. Sad that things have come to this: Football enthusiasts or racist fat asses. Both are the wrong choice. Dumb consumers who want more strip malls and bullying football coach dreamers: neither are the right choice. Having open space at Fairview Park serves also the Soaring Society. They are there every day. 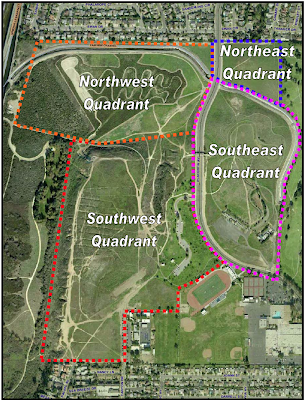 But its critical to have an area that is open space, as the dirt parking lot at the train area, as there are events throughout the year that conveniently use that area. The Concerts in the Park, where would they go? This is the last place left. Field Day would be hard pressed to camp out anywhere else in the city. Black top just doesn't always cut it. Every city should have a little patch of ground to use for "whatever" when needed. Not to mention the only view of the ocean and areas north up the coast. Leave it alone for everyone to enjou the beautiful sunsets.